Two complaints were filed by separate, non-profit privacy rights groups - None of Your Business (noyb) and La Quadrature du Net (LQDN) - on the day GDPR went into effect, May 25th, 2018. CNIL said that the fine was levied on January 21st, 2019 was for “lack of transparency, inadequate information and lack of valid consent regarding ads personalization,” specifically during the onboarding process for new Android users. Part of the alleged violations regarding consent include “pre-ticking” the option to personalize ads, and they did not make clear to users that this covered many other services such as YouTube and Google Maps. The GDPR was implemented across the European Union on May 25th, 2018, to help safeguard users’ data in the digital age. Read more about the changes and how MIMICS can help HERE. The General Data Protection Regulation was implemented by the European Union in May, 2018. The measure mandates a set of standards for companies that handle EU citizens’ data to better safeguard the processing and movement of personal data, including safely handling the transfer of data across borders and anonymizing data collected to protect privacy. For more details on GDPR regulations, click HERE. 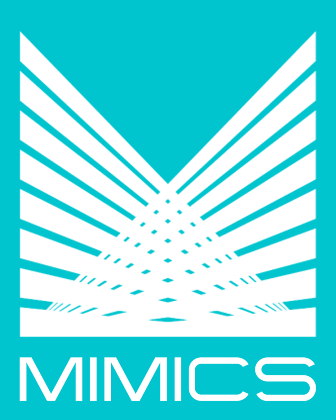 · MIMICS fully encrypts our full databases for all of our software modules. · Based on your specifications, MIMICS can tokenize data fields, such as account numbers, to ensure anonymity. · We work with you to ensure that saving sensitive data is not being unnecessarily entered in the database. 1. Prep your MIMICS system for Year-End. This includes finishing all data processing and payments. 2. Convert your MIMICS system data into 1099-ready data. 3. Import your 1099 data to the MIMICS IRS Tax Reporting module. 4. Review your 1099 data to confirm totals. 5. Generate your 1099 tax forms and electronic files and send to clients. The MIMICS 1099 software update and training session are now available. Please contact us directly through the support portal to get set up with yours. 1. 199A dividends. These are defined as “a deduction for qualified business income from a qualified trade or business operated directly or through a pass-through entity.” HERE is a full description from the IRS. 2. For combined federal/state filing, code 50 (Vermont) has been removed. Publicaction 1220, from the IRS, is a comprehensive reference for filings. It can be found HERE. The MIMICS 1099 software update and training video are now available. Please contact us via the portal for assistance.